The Devotional Divine Mercy Statue is hand painted and makes a beautiful addition to any home shrine. According to accounts, Our Lord first appeared to Sister Faustina in 1931 to request her to paint His picture with the signature, "Jesus, I Trust in You". The image has rays of light coming from His heart that signify blood and water. While many versions of the design exist, the Divine Mercy Statue is perhaps one of the most beautiful. The piece depicts Jesus in a traditional robe with one hand upon his heart. 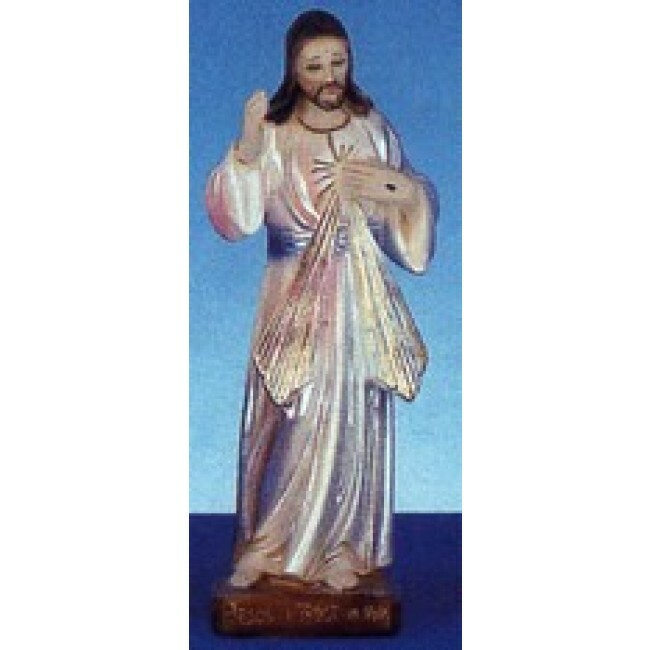 You're reviewing: Divine Mercy Statue 8"